Amazing colors and perfect design stitch for hot pot, small rugs, tablecloths etc. Very intensive colors and regular perfect stitch. Enjoy 🙂 Crochet fan? Join our group. 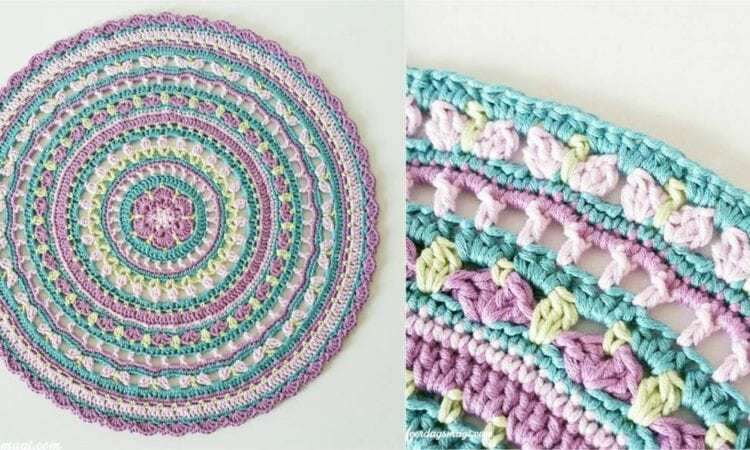 How to start with a magic circle crochet loop? Watch the video.